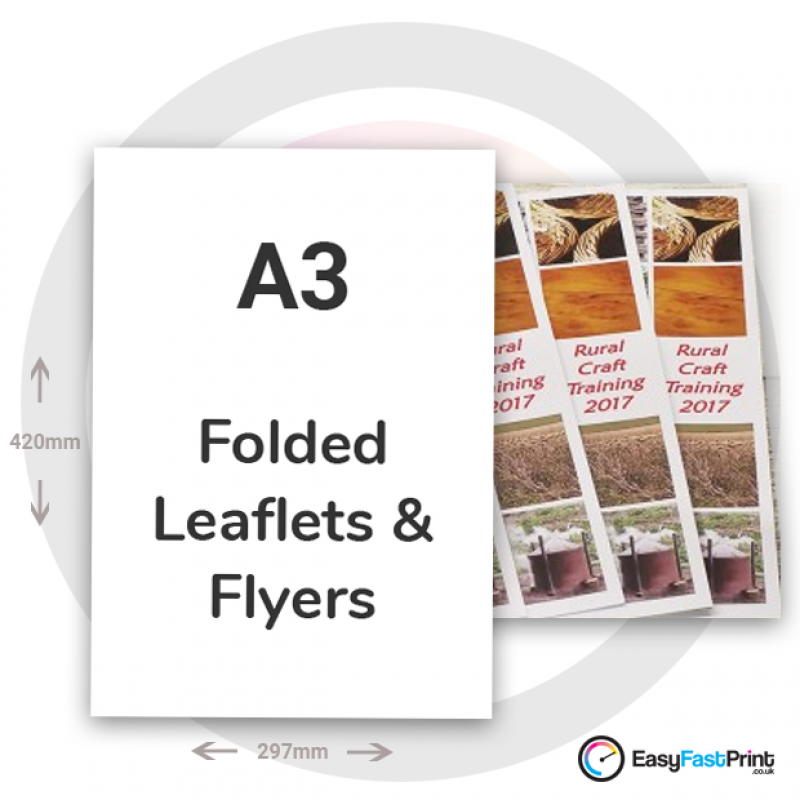 Our A3 folded leaflets come in a variety of fold options to perfectly suit your needs. The folding options combined with the lamination options mean they have a variety of uses. 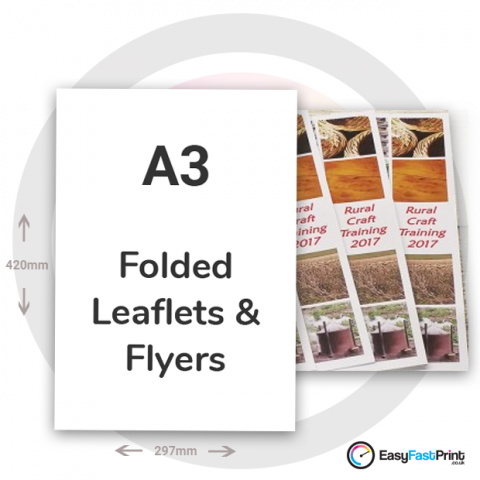 We can offer a fast 2-day turnaround as well as free delivery on our leaflet printing service. If you have any queries on the folding options please feel free to get in touch for some advice.
? This is the actual size of the product before being folded.
? The folded style is the actual physical finished size of the product, after being folded.